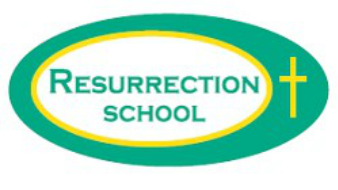 Resurrection Preschool is a supportive, nurturing, safe environment which fosters growth of the whole child. The curriculum is designed to be appropriate to the developmental capabilities of each child. It is also implemented with attention to the children’s differing needs, interests, and developmental levels. The children will be surrounded by an environment that will allow them to explore and manipulate to discover. Through their daily explorations, they will develop many skills. The students will gain social, emotional, cognitive, physical, spiritual, and aesthetic growth. Strategies for interacting with materials, peers, and adults are also an important part of our curriculum. Resurrection Preschool is a Catholic preschool. We will include religion in our daily activities through prayer, songs, stories, and art experiences. We will integrate our Catholic beliefs into classroom situations and share our faith with the children. For more information, please see The Preschool and Pre-Kindergarten Handbook on the opposite side of the page. Sarah McIntosh, Preschool teacher, at smcintosh@evdio.org. This program provides care, supervision, and recreation. It serves families whose children are enrolled in Resurrection School. The program is extended to students in grades K-8. Resurrection offers both morning and after school care. Morning care is offered from 6:30 a.m. until 7:00 a.m. for a cost of $2.00 per day. After school care is offered from 2:00 p.m. until 6:00 p.m. at a cost of $6.00 per day. Contact the school office or program directors for more information.